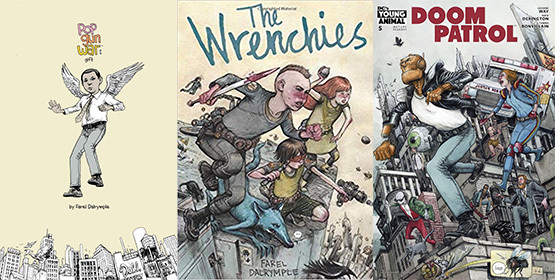 We’re excited to welcome back comic book creator Farel Dalrymple to the 10th Anniversary Jet City Comic Show! Farel is the creator of the new series Proxima Centauri published by Image Comics in 2018. He is also well known for It Will all Hurt, Pop Gun War: Chain Letter and Pop Gun War: Gift, The Wrenchies and Delusional. You’ve also seen his freelance work on Prophet, Omega the Unknown (Marvel Comics), Jenny Finn (Dark Horse) and Caper (DC Comics).